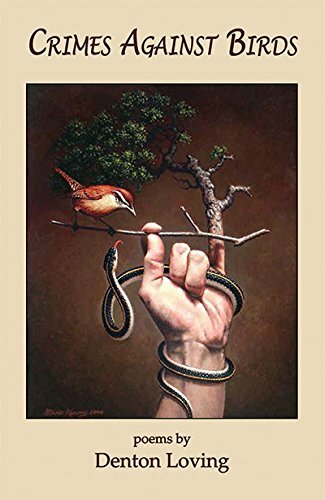 This is probably coming a little late, but I wanted to help celebrate the release of Denton Loving’s debut collection of poems, Crimes Against Birds. Denton was one of the housemates at the William Skelton House during the 2012 Key West Literary Seminars. In addition to his poetry, he also co-edits the literary journal Drafthorse, edited the anthology Seeking Its Own Level: an anthology of writings about water, and co-directs the Mountain Heritage Literary Festival. All that, and he lives on a farm near the Cumberland Gap. Busy guy!